osteoarthritis of the knee. 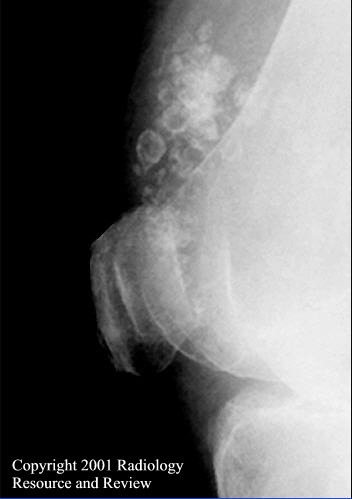 This is the appearance of secondary synovial osteochondromatosis. nodules seen around the knee joint space. They are relatively uniform in size and are not associated with osteoarthritis of the knee. This is the appearance of primary synovial osteochondromatosis. 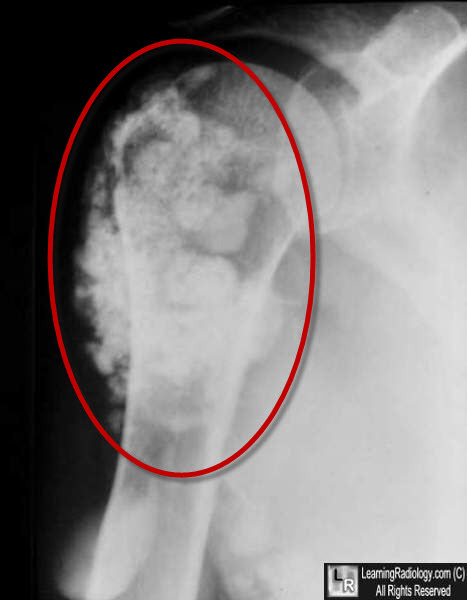 Multiple nodular calcifications surrounding the right shoulder in synovial osteochondromatosis.